1. I’m a teenager who plans to start working. Are there any special laws that apply to me? 2. My state’s child labor standards differ from federal child labor standards. Which standards apply? 3. What are the purposes of child labor laws? 4. What age groups are covered by child labor laws? 5. How old do I have to be to work? 6. Is the minimum wage for youth workers the same as it is for everyone else? 7. How many hours can I work as a youth employee? 8. Am I allowed to work the night shift as a youth employee? How many hours? 9. What kinds of work can a youth employee perform? 10. What types of jobs are considered “hazardous” jobs? 11. Do child labor laws apply if I work for my parents? 12. How old do I have to be to work for a farm? How many hours can I work at a farm? 13. What are work permits and age certificates? Do I need one? 14. Do child labor laws apply to my paper route? 15. Do child labor laws apply to babysitting? 16. I want a job, but I don’t have any work skills and I don’t know where to start. Are there any resources that can help me? 17. I think my employer might be breaking child labor laws. What do I do? 18. Who enforces child labor laws? 19. What remedies are available to me? 20. How long do I have to file? Yes. The Fair Labor Standards Act (FLSA) contains the federal labor standards for young workers, including minimum wage, overtime pay, recordkeeping, and child labor rules. The rules vary depending upon your age and the type of work. The FLSA applies to many full- and part-time workers in the private sector and in the federal, state and local governments. (For more information, see who is covered.) While a few states rely solely on the federal laws found in the FLSA, most states also have child labor laws. A summary can be found by following this link: State child labor standards. State child labor laws may be more restrictive or less restrictive than the federal FLSA. In other words, states may have different minimum ages for employment, different hours of work restrictions, and may identify additional occupations as hazardous. It depends. If your employment is covered by the FLSA (see who is covered), then both federal and state laws apply–and the law with the most protections (whether state or federal) is followed. For more information about the child labor laws in your state, see State child labor standards. For more information you may also want to contact your state’s department of labor. You can find the contact information for your state’s labor standards agency at our site’s state government agencies page. If your employment is not covered by the FLSA, then only state laws will apply. The Industrial Revolution led to the rise of factories and sent many workers from rural farming communities to urban areas. With the rising need for employment many children were hired to work in factories, mines, and other industrial facilities. Bosses found child labor desirable because they viewed children as more manageable, cheaper, and less likely to strike. The horrendous working conditions and the lack of education for child laborers captured the attention of America’s public. Since the mid-19th century there were a number of political movements to reform or eliminate child labor. A number of laws were passed designed to protect child laborers from bad working conditions and allow children to stay in school and receive an education before entering the workforce. Each state also has its own laws relating to employment, including the employment of minors. A summary of each state’s child labor laws, including which age groups are covered, for non-farm employment can be found by following this link: http://www.dol.gov/esa/whd/state/nonfarm.htm. For more information you may want to contact your state’s labor standards office. The Fair Labor Standards Act (FLSA) sets 14 as the minimum age for most non-agricultural work. Many states have passed their own child labor laws, some of which may have a minimum age for employment which is higher than the FLSA. Where both the FLSA and state child labor laws apply, the higher minimum standard must be obeyed. For more information you may want to contact your state’s labor standards office. ► in your first 90 consecutive calendar days of employment with an employer. After 90 days of employment, or when you reach the age of 20 (whichever comes first), you must receive minimum wage. It is against the law for your employer to take any action to displace other employees in order to hire employees at the youth minimum wage, such as reducing employees’ hours, wages, or employment benefits. For further information, please see our site’s minimum wage page. Some states have a different minimum wage. Where state law requires a higher minimum wage, which many do, that higher standard applies. Each state’s minimum wage can be found by following this link: minimum wage laws in the states. For more information you may want to contact your state’s labor standards office. Once you reach the age of 16, there are no limits on how many hours a week you can work in non-farm employment under the Fair Labor Standards Act (FLSA). (For farm employment, see question 12) Youths 14 and 15 years old may work outside school hours in various non-manufacturing, non-mining, non-hazardous jobs under certain conditions. ► From June 1 through Labor Day, their workday may not begin earlier than 7 a.m., but it can end as late as 9 p.m.
State laws may be different. A summary may be found by following this link: http://www.youthrules.dol.gov/law-library/state-laws/index.htm. For more information you may want to contact your state’s labor standards office. Under the FLSA, workers under the age of 16 are cannot work between 7 p.m. to 7 a.m., except during the summer. From June 1 to Labor Day, the prohibited hours are from 9 p.m. to 7 a.m. Once you’re 16, federal law no longer restricts what hours you can work. State laws vary but are summarized at the following link: http://www.dol.gov/whd/regs/compliance/childlabor101.htm. For more information you may want to contact your state’s labor standards office. Child labor laws vary from state to state. Often state regulations provide very specific information on hazardous occupations and other safety standards for youth employees. For more information you may want to contact your state’s labor standards office. There are seventeen prohibited jobs for youth under the age of 18 for non-farm employment. Not in most cases. Youths under age 16 working in a business solely owned or operated by their parents (or by persons standing in place of their parents, such as guardians and foster parents) can work any time of day and for any number of hours. However, parents cannot employ their child in manufacturing or mining, or in any of the hazardous occupations listed in the previous question. In most cases the same is true of state law. For more information you may want to contact your state’s labor standards office. Under the Fair Labor Standards Act (FLSA), if you are working for a parent or guardian, there are no age requirements for working on a farm. Youth of any age may be employed at any time, in any agricultural occupation on a farm owned or operated by their parent or person standing in place of their parent. There are no maximum daily and weekly hours and days per week a youth can work under the FLSA. Under the FLSA, if you are not working for a parent or guardian, you must be 16 years of age to work on a farm during school hours and 14 years of age to work on a farm outside of school hours. You may work on a farm if you are at least 12 years of age with written parental consent, or if you are working on a farm where a parent/guardian is employed. If you are under 12 years old and you have written consent to work on a farm from a parent or guardian, the Federal minimum wage provisions do not apply. State laws vary on this subject. A summary of the state laws regarding agricultural employment can be found by following this link: State agricultural labor standards. For more information you may want to contact your state’s labor standards office. Work permits and age certificates verify that you are old enough to be employed. Their purpose is to protect the employer from being prosecuted for employing an underage worker, as the employer can use the certificate to show that it attempted in good faith effort to comply with legal minimum age requirements. Work permits and age certificates are not required by the FLSA, but are required by the laws of some states. Most of the age certificates issued to young workers are issued by states. Some states will fine employers who violate the requirement to obtain work permits and age certificates from their young workers. 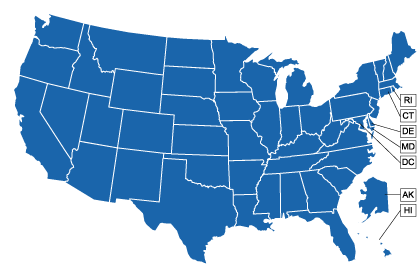 You can find your state’s requirements for work permits and age certificates summarized in the following chart: Employment/Age Certificates, or you can contact your state’s labor standards office. Also, your school guidance counselors might know if work permits or age certificates are required in your state. The Department of Labor will issue you an age certificate if your state does not issue them, or if you are requested by your employer to provide one. ► employees engaged in the street sale or delivery of newspapers to the consumer. However, employees engaged in hauling newspapers to drop stations, distributing centers, and newsstands are not exempt, because they do not deliver to the consumer. Many states regulate minors employed as newspaper carriers more strictly than the FLSA does. Please consult your state department of labor for more specific information. No. Youth employed as babysitters are not covered by the FLSA’s child labor and wage and hour provisions. In most cases the same is true of state law. For more information you may want to contact your state’s labor standards office. The Department of Labor posts special Web pages for young people, both for those old enough to work and those not yet old enough, that provide information on topics ranging from student volunteerism to job safety. For example, Youth Rules would be a good place to start. The federal government, including the Department of Labor, sponsors a wide variety of job training and job placement assistance programs for America’s youth. The Department’s Employment and Training Administration (ETA) is the primary agency responsible for such programs. You can a complaint with the Wage and Hour Division (WHD) of the Department of Labor. If a violation is found, WHD will pursue a complaint on your behalf. The WHD’s enforcement of the Fair Labor Standards Act (FLSA) is carried out by investigators stationed across the United States. These investigators gather data on wages, hours, and other employment conditions or practices, in order to determine compliance with the law. You may also pursue a complaint on your own behalf, or file a lawsuit in court (which may require you to hire an attorney). Federal child labor rules are established by the Fair Labor Standards Act (FLSA). The FLSA is enforced by the Wage-Hour Division of the U.S. Department of Labor. It is a violation to fire or in any other manner discriminate against an employee for filing a complaint or for participating in a legal proceeding under FLSA. Willful violations may be prosecuted criminally and the violator fined up to $10,000. A second conviction may result in imprisonment. Employers who willfully or repeatedly violate the minimum wage requirements are subject to a civil money penalty of up to $10,000 for each employee who was the subject of a violation. You may also contact your local WHD office. If you need further information about your state’s child labor laws and/or wish to report a potential state law violation, then you may wish to contact the agency in your state which handles wage and hour/labor standards violations, listed on our site’s state government agencies page. If your employer has violated child labor practices, the WHD may require your employer to pay punitive damages. These are given in order to punish the employer who has broken the law. Your damages will depend on what your employer’s violations are. Willful violations may be prosecuted criminally and the violators fined up to $10,000. A second conviction may result in imprisonment. Also, when investigators encounter violations, they recommend changes in employment practices in order to bring the employer into compliance. The Department of Labor can even go to court to make the employer stop violating the child labor laws, and can prevent employers from shipping goods or products made with child labor in violation of the law. Do not delay in contacting the WHD or your state agency to file a claim. There may be time limits in which charges of child labor violations must be filed. You may wish to consult with an attorney prior to filing your claim, if possible. Yet if you are unable to find an attorney who will assist you, it is not necessary to have an attorney to file your claim with the state and federal administrative agencies. Your state wage law may have different deadlines for violations of the child labor laws. For further information, select your state from the drop down list, or the map below.